Just as we've promised to give you the best information on various health related issues, we are posting a write up on the various type of food that can help lower blood pressure as you read on with the post. 1. Snail: Studies have shown that meat such as snail contains an active ingredient that helps reduce blood pressure either in aged people, youth, male or female. Snail contains no fat r cholesterol but contains an active agent which reduces the amount of sodium in the body which causes high blood pressure. 2. Bananas : Consuming Banana as food or fruit is a good way to reduce hypertension or high blood pressure. Banana contains potassium which help flush out dangerous sodium from the body through urine or sweat. You can help yourself by eating banana to help lower the amount of salt in the body that can raise the body blood pressure. Eating banana is a good way to do that. 3.Yogurt: Yogurt is another food that helps reduce blood pressure level especially for adult. Yogurt contains no fat in it and keeps blood pressure low. Nutritionist recommend that you take Yogurt with vegetable and plenty of water few times a day. 4. Dark Chocolate : Chocolate are also good and used to control blood pressure because it contains Polyphenols which is a substance in dark chocolate that help lower blood pressure. Many people who eat more dark chocolate are usually free of high blood pressure. A recommended dark chocolate is the coco powder which contains no sugar, salt or fat. 5. Garlic : Personally, i eat garlic because of it healthy values and its been proven by medical expert that it helps lower blood pressure in men or women. It also prevent the body from cancer but works best for hypertension. 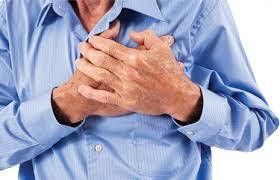 In terms of lowering your blood pressure, it will often assist those who have hypertension. 6. Asparagus : Asparagus is a good food that helps lower high blood pressure. Asparagus contains substances which prevents the body from diseases like heart disease and cancers. It also contains elements and vitamins like Vit B, Vit C and K. iron, calcium etc. Eat these food regularly and you will be save from high blood pressure or other health issues r diseases. Thanks for reading.